Well today is the day before our big tax meeting. The farm typically does a pre-tax meeting towards the end of the year and then our actual tax meeting in February. I just wanted to take a few seconds to highlight some of the things you can expect a farmer (or their wives) to keep track of through the year, in addition to all the hardwork they are putting in with the fields and/or animals. Income and Expenses. Just like any small business owner farmers track their income and expenses through the year, or some simply compile them together at the end of the year. With a farm as big as ours we find it easiest to sit down each month and record our income and expenses into Microsoft Excel. 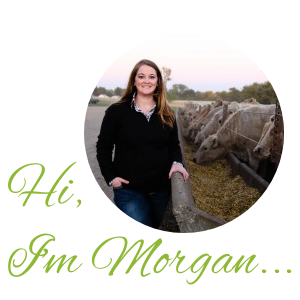 Some farmers prefer an accounting program, such as QuickBooks, but around here we love excel! Assets- Defined as items of ownership convertible into cash. It’s important to keep track of these as you purchase and sell new items. In farming technology is often times always improving, so some farmers often buy and sell equipment, its important to have a good system down to keep all of your paperwork for each asset you own and sell. Liabilities- Defined as moneys owed. This is another important part of farming. Just like in your own personal finances its important to keep track of what you may owe on your mortgage, credit card, or school loan. It’s important to keep track of any open accounts you may have with implement dealers (aka people that will sell you tractors and their components), credit card companies, or banks. Balance Sheets/Financial Statements/Cash Flow– These are all documents you can expect to see if you are any type of business owner. These are always my favorite documents. I took a great class in college called Farm and Ranch Management where we looked at these different documents to determine debt/asset ration, net worth, etc. It’s a great way to take a look at the entire year as a whole, but then to also set up projections for the following year. Cattle- defined as bovine animals. At our farm “cattle” are our feeder cattle. What we are raising for food. There are so many different records that could go into cattle. When you bought them, when you sold them, when you worked them, when they need to be worked next, what lot they are in, what they eat..I could probably think of a few more, but I will leave it as that. Calving Operation. All our Momma’s and their Babies. We have a small calving operation. A lot of the same things are similar here when it comes to record keeping in cattle. Except now you add in the factor of being a Mother. Before cows give birth they are often checked numerous times a day, just like a human. We want to make sure the cow is comfortable, healthy, and ready to give birth to her “extra big” baby. At our farm we keep records of when the baby was born, its color, and whether it was a girl or boy (heifer or steer). These are just a FEW things that go on behind the scenes of being a farmer. I feel myself looking back through the year thinking of all the hard work my farmers did to make it all happen. I love farming and all the work that goes into it..and then I remember that behind every good husband is a loving wife- or a wife who does all the paperwork!